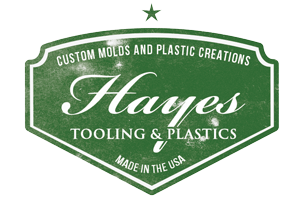 Hayes Tooling and Plastics Inc. is a family owned plastic production facility since 1954, capable of concept design and production of molds. We also have prototyping capabilities using methods such as 3D printing. We have 4 Plastic Injection Molding machines and 2 Plastic Blow molding machines capable of producing plastic parts from either the molds we design and build or an existing mold provided by the customer. We also offer warehousing and distribution. Come see our selection of military surplus and camping products up close and meet the Hayes Team! We attend the ANM Expo every January and August in Las Vegas. Contact us for more information. We have over 30 years of experience in government contracts. We have the capabilities to meet high demands in tight tolerances and narrow specs that all branches of the U.S. Government come to expect from a manufacturing company.